Workers with the UFCW-AFL-CIO Local 371 strike Thursday at the Stop & Shop on Main Avenue in Norwalk. 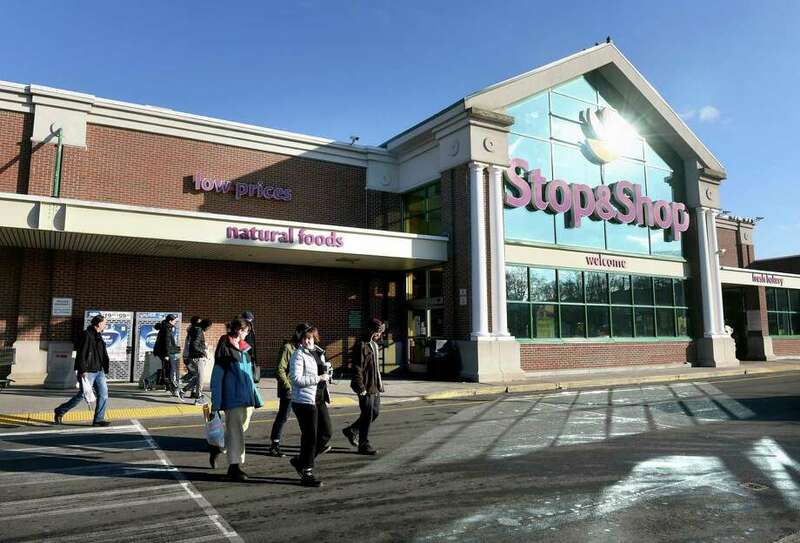 Stop & Shop employees walked out of stores across New England Thursday, including locations in Trumbull, Black Rock, Stratford, Norwalk, Stamford, Hamden, Cheshire and Branford, after failing to resolve a contract impasse. Stores in numerous cities and towns have closed while the pharmacies in those locations remain open. 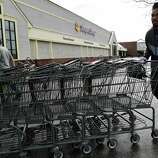 The stores turned away shoppers in Hamden, Bridgeport, Greenwich and Branford after the employees walked out. Hamden employee Ed Quirk, who has worked for Stop & Shop for 35 years, said having to strike isn’t something he wants to do for the sake of customers, but feels he has to. “We made this company what it is,” he said. Members of Local 371 and Local 919 picketing near parking lot and plaza entrances at multiple store locations have been met with supportive honks from drivers. 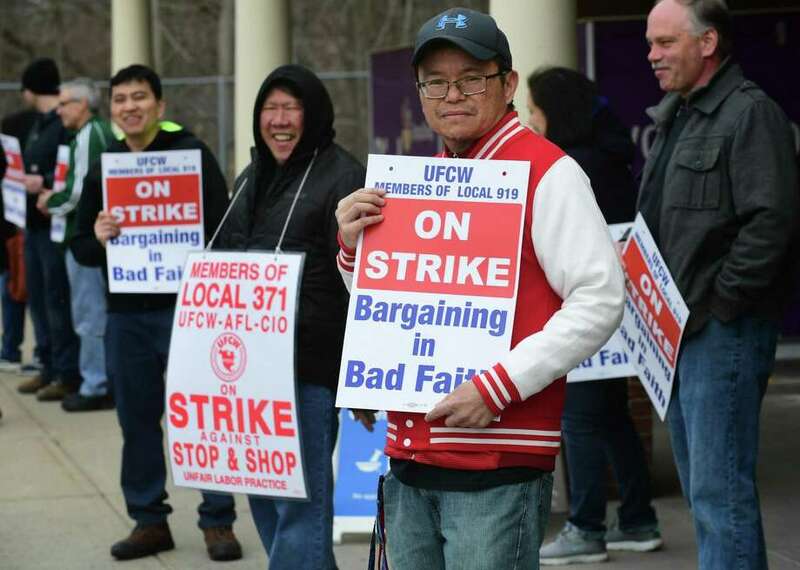 More than 600 members of the United Food and Commercial Workers Local 371, which represents workers in much of Connecticut and headquartered in Westport, voted in early March to strike as contract negotiations with the grocery chain stalled. “Despite some slight progress being made during contract negotiations, the company is still proposing unreasonable cuts that could impact us all,” the union said on its website Saturday. Among the cuts union members are refusing to accept are hour cutbacks, elimination of Sunday premium pay, no raises over the next three years, increased automation and decreased health and pension benefits. The grocery giant employs more than 31,000 associates throughout Massachusetts, Rhode Island and Connecticut. The company operates 92 stores in Connecticut alone. Local 919 union representative Jorge Cabrera said during the strike Thursday the Hamden store brings in $1 million per week, oftentimes more, with an understaffed store. 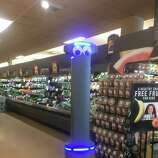 It’s one of Stop & Shop’s most profitable stores in Connecticut, he said. “They (the company) claim in order to be competitive they need to make deep cuts, but they made $2 billion in profits last year and the shareholders are doing just fine, so it’s hard for us to wrap our heads around that,” he said. The only thing Cabrera said he could attribute the impasse to was corporate greed. A statement from Stop & Shop Thursday said the chain has “contingency plans” to minimize disruption by the demonstrations. “Given that negotiations with assistance of the federal mediators are continuing, we are disappointed that the UFCW chose to order a work stoppage in an attempt to disrupt service at our stores,” the statement said. Employees said their customers would be loyal, though, and most wouldn’t cross the picket line to shop. In Stamford, a slow but steady trickle of customers were shopping at the store around 2:30 p.m. Thursday, more than an hour after the strike began. Many people walked in and shopped without much of a hiccup, even though checkout lanes were starting to get clogged with no one working the registers. >>Click through to see how the New England grocery giant got its start. The corporate statement went on to say that it had proposed a “good and reasonable” offer to the local unions including pay increases, continued health care benefits and increased company contributions to the UFCW’s benefit pension fund. Cabrera said if the unions were to accept the contract as proposed, employees’ livelihoods would be devastated because they rely on the current health care plans for their families and having a real pension when they retire. Patricia Fappiano, who works at the Hamden store, said things would be tough if the company eliminated time-and-a-half pay on Sundays, on which she relies. Nancy Peshka, a manager in the Cheshire store, has worked at Stop & Shop for 39 years. She was walking the picket line Thursday at the supermarket’s store in Maplecroft Plaza. Peshka said the company’s most recent offer earlier this week — a $75,000 buyout for more senior unionized workers — is designed to purge the company’s payroll of more highly paid unionized employees. Hamden meat department worker Mark Peterkin, who’s been with Stop & Shop 28 years, said the company isn’t looking for lifelong employees anymore as the company moves toward more automation and part-time employees. “They don’t want committed employees,” he said, adding that every time the contract comes up for negotiation, Stop & Shop takes away more benefits while it makes record profits. Phil Extance, the shop steward in New Milford, said the customers have been supportive and one person already brought them three boxes of coffee. Extance, who has been an employee at this store for 41 years, said he realizes the timing is bad for people getting ready for Easter and the weekend. 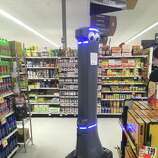 “Hopefully it will get resolved quickly because we don’t want to be out of the store, just like the customers don’t want to be not shopping,” he said. In Bridgeport, workers at the Stop and Shop at 4531 Main St. joined in on the strike. “It’s completely unfair, with all that we’ve done for this company over the years,” said Tom Morlock, a Bridgeport store employee who has been with the grocery chain for roughly 23 years. In that time he said he’s worked at 17 different stores, coming in early and making any changes to his schedule that his employer needed, but issues over health care pricing and cuts to shifts and pay were among his issues. “I don’t understand how a company that makes a few billion dollars in profits are not going to let us have a little bit of that, it just seems unfair,” he said. 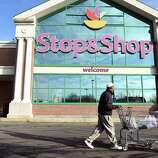 Stop & Shop’s financial report from 2018 showed the company having made $2 billion in profit. Frank Dini, who has been with the company for 30 years, said cuts to raises and pensions were the final straw. In Westport, where Local 317 office is located, workers stood along the Post Road where they were met with supportive honks from drivers. For Joe Marotto, who’s been with the company for 42 years, this protest is a rare occurrence but one he supports completely. Workers at the Stop & Shop held signs with information about the strike. One of them was handing out doughnuts and coffee. Ribas said they had been supported from Stop & Shop workers from other states and that a night shift would come later in the day. In Greenwich, more than a dozen union employees were picketing the store on West Putnam Avenue, holding signs and waving to motorists. Passersby at the Stop & Shop on Newtown Road in Danbury and on Route 7 in New Milford saw similar crowds and also honked to support. Attorney General William Tong announced he would stand with striking workers outside the Stop & Shop in Southington Thursday evening and U.S. Rep. Rosa DeLauro, D-3, said she stood in solidarity with the workers. Picketers said they were expecting the walk-out might be a lengthy one, and union members in other towns said they would strike for as long as it takes to get a fair contract. Randi Weiner, Luther Turmelle, Humberto Juarez, Ignacio Laguarda, Katrina Koerting, Alex Souleand and Tara O’Neill contributed to this story.